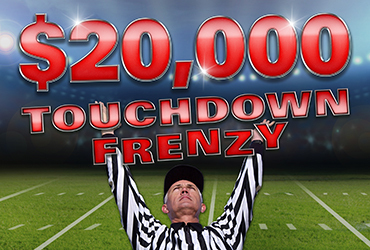 Join us every Friday in October for our $20,000 Touchdown Frenzy Table Games Giveaway. Rampart Rewards players earn entries beginning September 29 by playing Table Games. One hour with a $10 average bet on table games earns one entry in the drawings. Guaranteed $5,000 in cash and promotional chips will be given away each Friday. 10 winners will have a chance to win $200-$2,000 cash and promotional chips each week. To stay up-to-date on all our promotions and events explore our website. Follow us on Facebook, Instagram, and Twitter to keep up with everything we have going on!